You are here: Home / Ask an Expert / Link Building – What’s Good for Google and Good for Customers? Link Building – What’s Good for Google and Good for Customers? Now that Google has put the hammer down on certain types of links, how can companies engage in link building that is good for customers and for Google? 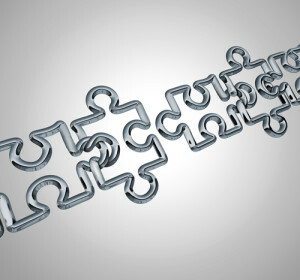 First and foremost, link building should always start with your own website. Have you eliminated broken links? Have you correctly implemented 301-redirects for page URLs that have permanently changed? Do your internal links meet your visitor’s informational needs? Do your navigational links make sense? Can search engine robots follow all of your links including product pages? Cleaning up your internal link profile will send a signal to Google that your website can be trusted. Second, Google’s continued emphasis on authorship and authenticity strongly suggests that they reward quality over quantity, e.g. link spam. Be sure all of your social media profiles are complete with links to your most important web pages; make sure your name, address and phone number (NAP) are the same everywhere your business is listed; keep your content fresh and high quality. Get involved with offline events. Whether you’re the organizer, sponsor or a speaker, creating an offline event can attract blog and media coverage. To promote the event, you can still submit a press release to the local media; if they run a story of your event with a link, it’s useful to potential attendees and can provide a signal to Google as well. Create opportunistic content and promote it. Using your own web analytics, internal search engine logs, or even trending social media topics, identify content and key concepts that already resonate with your audience. Then promote that content through your company social media channels. One of TopRank’s clients followed this advice and wrote a blog post detailing ‘nightmare scenarios,’ generating 650% more visits than any previous post at the time. Discovering industry pain points makes your content eminently sharable, which increases the likelihood of incoming links. Make a list. Identify top people or resources in your industry using consistent and credible criteria. Let them know they’ve made the list and even provide resources to make it easy to share the accomplishment. This tactic also applies to aggregating disparate resources on a topic into a useful list. Use media. Images and video are more likely to be shared and attract links and visitors than text and an image alone. Invest in packaging your content with multiple media types and promote through relevant social channels. Create deep content. Become the Wikipedia for your industry by creating structured, detailed and well researched resource content that your target audience (and industry media) would find useful. At TopRank, we create one of those articles per week and after a year, we’ll have over 50 of the best resources on specific topics our customers care about. You can do the same thing weekly, or even monthly. Deep content attracts links because it’s so useful and comprehensive. If you think of links as the ‘currency’ of the web, then you’ll begin to understand that the value of a link is based on its ability to provide value to others, whether customers or websites. Rather than view the web solely in monetary terms, think of it more like a barter economy. When you do this, link building will become more of a give and take, resulting in greater returns over time.